This past week virtually no one in the software world was surprised by Oracle’s announcement of intent to acquire cloud talent management vendor Taleo. The acquisition that was something of a surprise, and maybe you even missed, was the much smaller move by Dassault Systemes to acquire Netvibes. The dollar values were quite disparate, Oracle paid $1.9B for Taleo, Dassault only a fraction of that at $26M for Netvibes. I wanted to take a deeper look at both, but I will say that while the Taleo acquisition certainly reinforces Oracle’s commitment to rapidly expand its public cloud offering, the Netvibes acquisition may prove to be the more interesting discussion. The Taleo acquisition does what I believe will become a common statement this year, it broadens Oracle’s cloud portfolio and brings another group of customers into the Oracle fold. There are two major factors to look at here, 1. the major software vendors, particularly Oracle and SAP, are playing catch up to broaden cloud offerings and customers quickly and 2. the HCM market is seeing increasing competition from upstart Workday and others. From an Oracle perspective SAP’s acquisition of SuccessFactors served as the catalyst to move this deal forward, but I don’t think that was the only factor. Unlike SAP, Oracle does have credible talent and learning offerings already, but the lead product there, Fusion HCM, is still very new and just starting to gain traction (some analysts are using this acquisition as an indictment against Oracle Fusion Apps, but I don’t agree). Adding Taleo to the Oracle Public Cloud portfolio, just like its other recent cloud acquisition of RightNow, which also had overlap with existing Oracle products, brings cloud expertise, additional credibility and additional customer relationships to exploit for cross sell / up sell from other Oracle products. Oracle has lot’s of overlapping product lines, that never stopped them before, and certainly won’t in the growing feeding frenzy around cloud products. I think there’s a bit of “if we don’t buy them, who else might” sentiment involved in this decision as well. And don’t underestimate the Workday factor either, it is having impact on both SAP and Oracle, although I think SAP might be feeling the pressure a bit more. From an Oracle perspective its important to have a robust set of cloud HCM apps as the PeopleSoft base moves into a refresh cycle. Taleo customers get benefits out of the deal as well, as you might infer from the diagram above. From a social collaboration perspective the addition of Oracle Social Network (OSN) to the Taleo product should be very attractive to the Taleo customers. 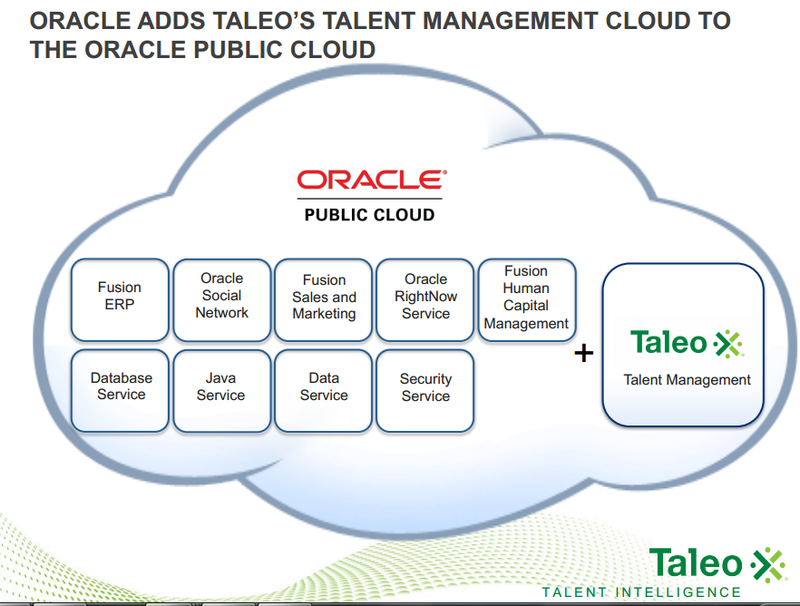 Also look for Oracle to build tight integration between Taleo and the Fusion HCM suite, making that full cloud-based solution set more attractive. Taleo customers will get the stability provided by one of the largest software vendors and easier access to a broad portfolio of products including engineered solutions, database service and Fusion Middleware. Sorting out Taleo’s architecture will likely be high on Oracle’s work list post-acquisition, as Taleo, which is built on an older cloud infrastructure and isn’t multi-tenant, could use a bit of modernization. Now on the the second announcement, Dassault Systemes and Netvibes. 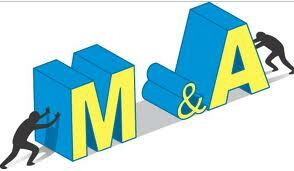 On the outside this may seem like an odd match, a PLM / CAD vendor and a cloud socialytics vendor. I think this acquisition is an interesting tell to a strategic move by Dassault to reposition as a broader innovation platform. Today Dassault is securely positioned in the product engineering and manufacturing world, but product development is under pressure to become more social and to drive more innovation. In this highly connected and hyper-competitive business environment product / service innovation is even more critical to a business’s survival. A disconnected or isolated product design process is something that has to change as companies need to leverage and include both a broader set of employees through better collaboration and outside constituents including customers and partners. The social customer, as I’ve written many times here, cannot be ignored and will engage with brands if given the opportunity and the right motivation. This isn’t a discussion of SCRM though, although the lines between systems and processes like CRM and PLM / product design, need to and are getting much more blurry. Today companies need to listen to customers and then take action on the feedback. What better way to do that than through an integrated social listing and analytics offering like Netvibes. The product lifecycle today is decidedly social and has to incorporate online conversations into the product process. Its a natural extension of PLM to embed socialytics into the design process and is an important first step to building out a full innovation management offering as I’ve outlined here. With the Netvibes acquisition, Dassault adds social monitoring, analytics and decision support capabilities into its leading PLM platform, moving to socialize the design process. This leaves Dassault with one gap though, that is a tool with the capability to manage the ideation process from capture (which it could do with Netvibes, although there are perhaps better purpose built tools available) through the entire process. Next I’d look for Dassault to acquire an ideation / innovation management vendor to add the overarching idea management process to the rest of its suite of innovation tools. There are a number of those vendors that could be potential targets including: Spigit, BrightIdea, BrainBank, Hype Softwaretechnik, IdeaScale, Imiginatik, MindMatters, Innocentive, and Uservoice. I guess we’ll just have to wait and see what direction Dassault moves next.